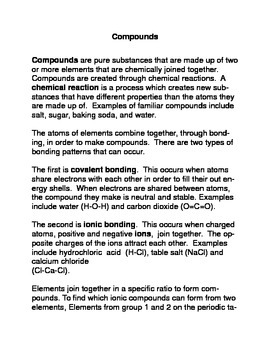 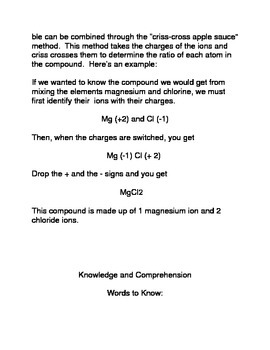 Compounds: Common Core Reading and Writing Activity is an activity that helps students learn about compounds. 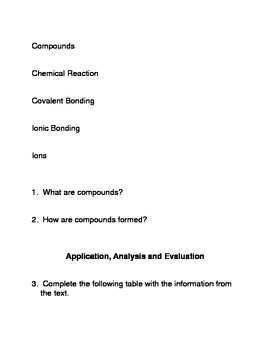 This reading and writing activity allows students to develop and practice higher order skills such as application, analysis, and evaluation. 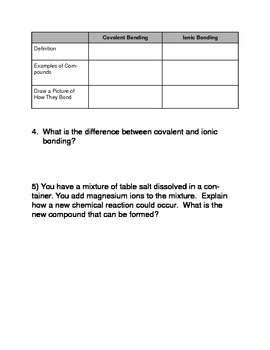 They will learn about compounds, bonding, ionic and covalent bonding.